Hello, brave, smart and strong adventurer! 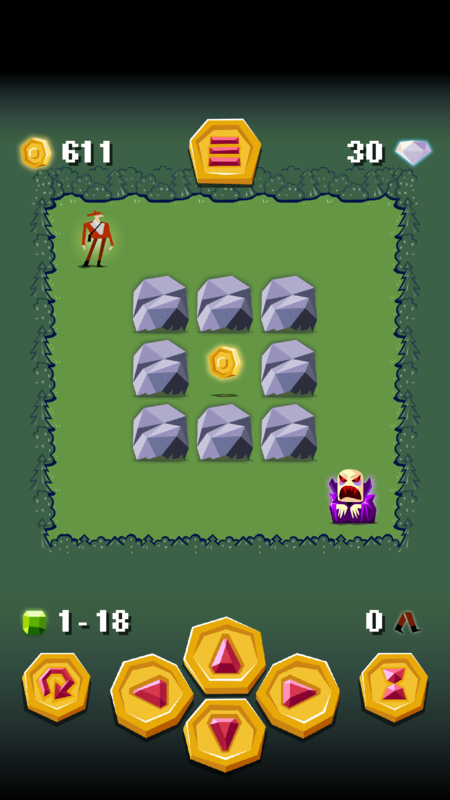 Here's a challenge worthy of you - a puzzle game of Vampire's Gold Logic Puzzle, in which you will be able to satisfy your love for gold and simple pleasant graphic. 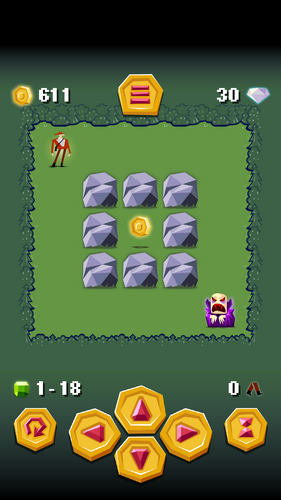 Collect gold coins and avoid meeting dangerous vampires in stone labyrinths. But be careful - vampires feel you and try to catch, heading the shortest path and can walk diagonally. 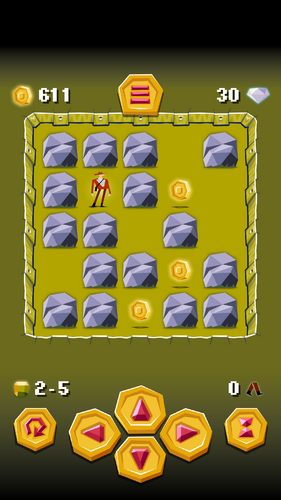 Show your wit and strength: move the stone walls of the labyrinth to secure your way from the keepers. 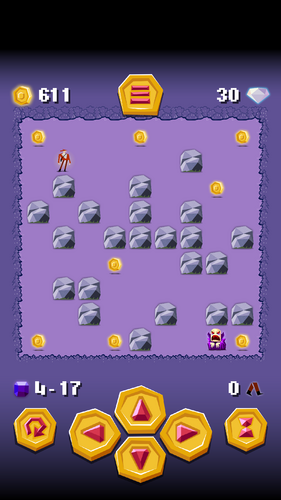 If you're fast, and you can wall the vampires in blocks, you'll get a more valuable and rare reward - a diamond of vampires. Gold coins are waiting for you in different places: in forests, dungeons and castles of different sizes and colors. Go through all the tests for the minimum number of steps, prove to everyone that you are the smartest.